An image of the main character Josie in By the Way. By the Way was a television show created by Nickelodeon in 1979. The show was one of the first five shows to be aired on the channel when it launched, and it only lasted for one year, ending in 1980. The show may have also been referred to as "Pocket Money" in some adverts but it isn't really known if the show was ever referred to that name. 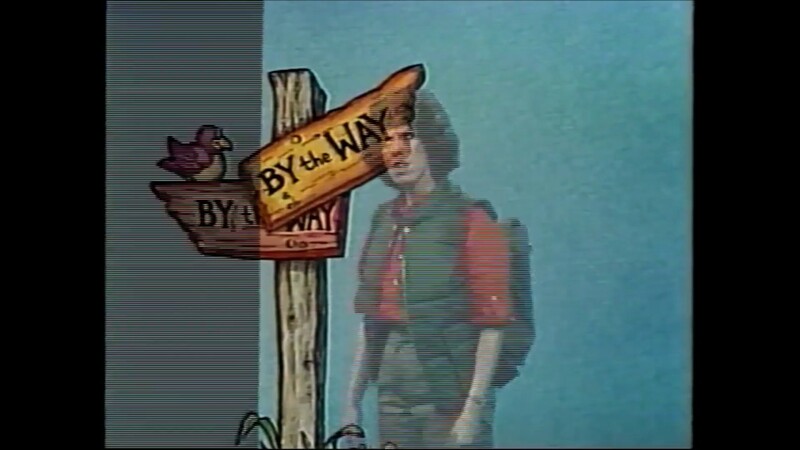 By the Way was a "junk drawer" show (meaning a mix of acquired animation and live-action short films) that was hosted by a woman named Josie, played by Andrea Helman (later known for her children's books, such as O is for Orca and 1 2 3 Moose). She would usually perform skits in a forest setting or a mountain setting. At the end of the show, Andrea would ask the viewers to write in ideas that she would share in the next episode. There were also many acquired animated and live-action segments on the show. One of these short films was the animated Froggie Went A' Courtin, based upon a 16th-century folksong which was animated by Frank Gladstone and his company, Persistence of Vision. Prior to December 26th, 2018, practically no information on the show was available online. There was a print article on the Union Times newspaper in Warsaw Indiana on October 12th, 1979, that vaguely introduces the premise of the show, and also had the mention of the main character Josie. There was also a time spreadsheet that listed the show airing between 8-9pm EST (5-6pm PST). On December 26th, 2018, YouTube user tvguy1979 uploaded ten minutes of footage from the show. This included the opening and closing of the show, as well as some Josie segments. It is unknown still how many episodes were produced, or what the titles of any of the episodes are in this footage. 10 minutes of footage from By the Way. The Poparena's second video on By the Way. 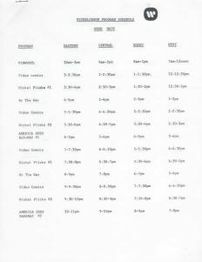 A spreadsheet on different times 1979 Nick shows aired which includes By the Way. Vauge info on what the show was about and the first mention of Josie as the main character.